caTissue Core is caBIG’s tissue bank repository tool for biospecimen inventory, tracking, and basic annotation. Version 1.2.2 of caTissue permits users to track the collection, storage, quality assurance, and distribution of specimens as well as the derivation and aliquotting of new specimens from an existing ones (e.g. for DNA analysis). It also allows users to find and request specimens that may then be used in molecular, correlative studies. Knowledge Management and secure Enterprise Search software. View a presentation of the solution. Ardenno Solutions, Inc. (pronounced R-den-O) is a provider of Collaborative Knowledge Management and secure Enterprise Search software solutions for businesses to enable teams and individuals to leverage and utilize existing internal data sources and database content across your entire enterprise. Ardenno is purpose built to deliver benefits without adding to your project workloads. The following on-line video provides a tutorial primer on ISO 17025 and how a LIMS can help your lab with the issues surrounding compliance with those standards and requirements. Audio speakers are highly recommended when viewing this video. 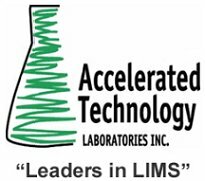 Accelerated Technology Laboratories, Inc. (ATL) will host an informational webcast on September 30, 2009 on the topic of Laboratory Information Management Systems (LIMS). This webcast is entitled "Spotlight on Product Testing Laboratories". This event is ideal for lab operations or QA/QC managers working for manufacturing firms with product testing laboratories or commercial laboratories who provide product testing services. ***Register today!! 09/23/2009 - Successfully Implementing a LIMS...it's not a myth! CSols invites you to participate in this complimentary webinar that highlights simple yet highly effect preparation steps to take to enhance your chance of a successful LIMS implementation. Participation is limited, and space must be reserved ahead of time. 09/15/2009 - Labtronics Inc. Announces Webcast: Go Paperless in Minutes - Are You ReDI? 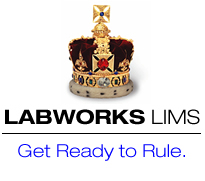 September 15th & 17th, Labtronics will be presenting "Go Paperless in Minutes - Are You ReDI? ", a half hour presentation highlighting ReDI, the fastest ELN deployment technology available. LabHQ Ltd. is a young and dynamic company that provides Laboratory Information Management Systems (LIMS) to businesses of all sizes throughout a range of industries. Our primary vision is to offer the most innovative software applications and world-class services to enable companies to derive the maximum possible value from their laboratory processes. Zumatrix announced that they had appointed several new representatives for Autoscribe's Matrix Gemini LIMS Software and associated services in Florida and several Western States. Symyx Technologies, Inc. today announced the opening of a new software research and development center in Bangalore, India. Developers at the new facility will collaborate with other Symyx sites on the company's core scientific information management software solutions, including the Symyx enterprise electronic lab notebook (ELN), data acquisition software, decision-support software and scientific information databases. LabLogic Systems has helped a major biopharmaceutical company to create a Pipeline Pilot reporting tool that can query for study data held in its Debra drug metabolism LIMS and deliver a customised report in a form that is meaningful to users. Advanced Chemistry Development, Inc., (ACD/Labs) is pleased to announce the incorporation of a new branch of the company in Frankfurt, Germany. Advanced Chemistry Development Germany GmbH begins operation on September 1st, 2009. Thermo Fisher Scientific Inc., the world leader in serving science, announced today that The Food and Environment Research Agency (Fera), a UK-based government organization, has implemented Thermo Scientific Nautilus laboratory information management system (LIMS) for use in its laboratory near York, UK. Life Technologies Corporation (NASDAQ:LIFE) today announced it has signed a definitive agreement to sell its ownership stake in its mass spectrometry business, operated as a joint venture, to Danaher Corporation. 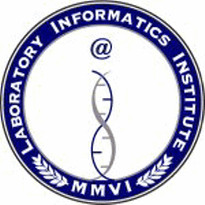 With LIMS, ELN, SDMS and other Laboratory, Scientific and Health Informatics websites and disucssion groups popping up all over the Internet, we all need one place to go to that consolidates and aggregates all of these postings, articles, videos and other such good information. Well here is the first start of that... http://www.limsnews.com. Don't worry, it is not another me too information source. It ONLY aggregates all the stuff that already exists but puts it in one place so you don't have to hunt down information you find useful. LIMS software (short for laboratory information management system) refers to a variety of different laboratory software systems which are designed to streamline the workflow of routine tasks and processes in the laboratory, as well as in other environments. These LIMS systems are generally rather versatile and configurable, making them adaptable to a wide variety of different applications in or out of the laboratory environment.